Skunk2 Shift Knob - Dezod Motorsports Inc - Home of the automotive performance enthusiast since 2002. 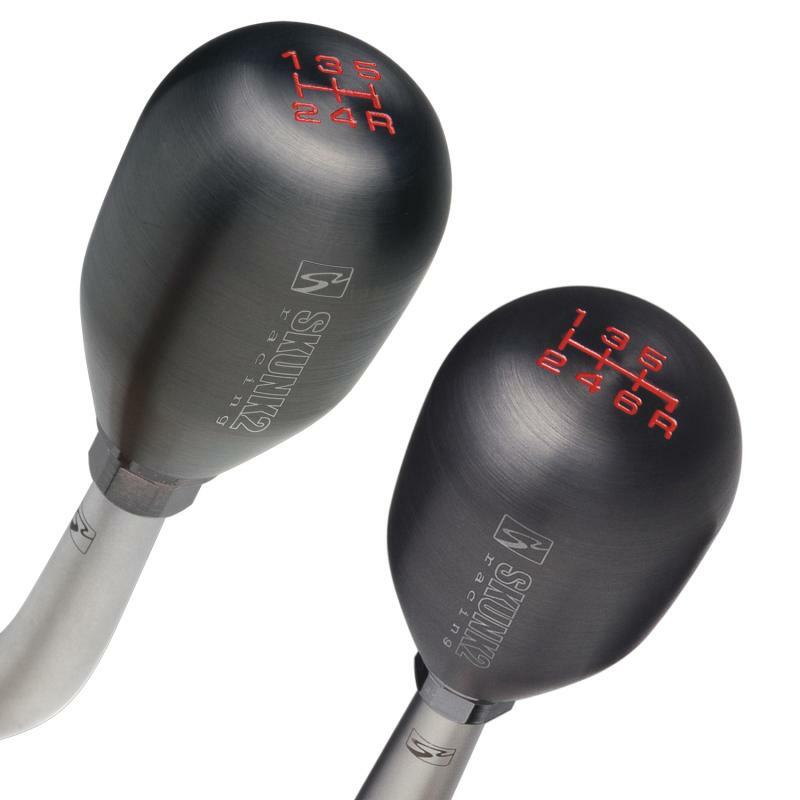 Skunk2 Shift Knobs are machined from billet stainless steel and feature a PVD titanium coating that resists scratching and wear. Skunk2 Shift Knobs are custom-weighted to over 400-grams and designed to be used in conjunction with the Skunk2 Racing Short-Throw Shifters. The added weight of the shift knob helps promote smoother and more positive shifting. This combination provides the ultimate in positive shift engagement for high-performance drag racing, road racing, and street performance applications. The Skunk2 Racing Shift Knob also provides a great enhancement to any shift lever application with a 10 X 1.5, 10 X 1.25 or 12 X 1.25 thread pitch in 5 or 6 speed applications. Skunk2 Shift Knobs and Short Shifters are available separately.